Music released by Fred Rogers, mostly from the Mister Rogers' Neighborhood years. Other releases included a few from the Children's Corner and others paying tribute to the great Mister Rogers. 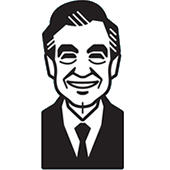 A comprehensive list of songs and lyrics from Mister Rogers' Neighborhood and various other productions associated with Fred Roges.